Filon mpGRP brings the unique advantages of glass reinforced polyester (GRP) to the traffic signs marketplace, to offer a range of excellent advantages over conventional aluminium signs. Filon mpGRP signs have no theft value for potential thieves.They will not melt down and have no intrinsic value to provide illegal funds. Filon mpGRP has been developed to provide high rigidity and strength, combined with lightness and ease of handling. Unaffected by high or low temperatures and by the extremes of European weather, the panels have a minimum lifespan of 12 years. Filon mpGRP panels pass the impact test specified under BS EN 12899-1 for road traffic signs. Panels only require wiping clean prior to the application of self adhesive vinyl. The panels are coloured grey to eliminate the need to surface paint the reverse face, which is UV protected. GRP is widely used in marine and other harsh environments. Panels will not rust or corrode from road salt or chemically aggressive conditions which otherwise would result in deterioration of the sign. Filon mpGRP is compatible with 3M™ Scotchlite and Nikkalite reflective films and Bollhoff/Henrob riveting systems. Filon mpGRP meets all the requirements of BS EN12899-1 following accelerated weathering tests. Regulatory and warning signs up to 2m² manufactured in accordance with NCI guidelines from one sheet of FILON mpGRP are compliant. Filon mpGRP panels have undergone successful testing with passively safe posts at the MIRA (Motor Industry Research Association) test centre in Nuneaton. 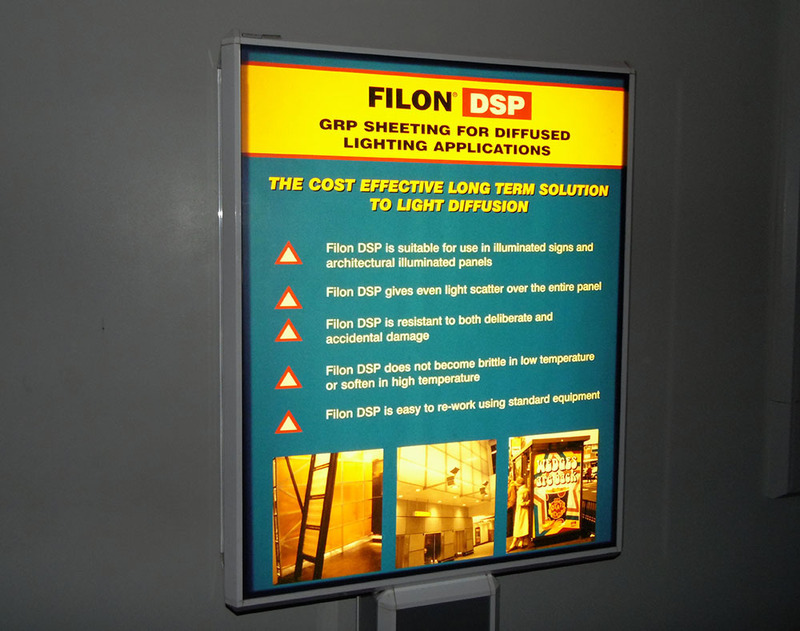 Filon DSP Diffused Sign Panels are flat opal tinted GRP sheets developed for use in back lit illuminated signs. 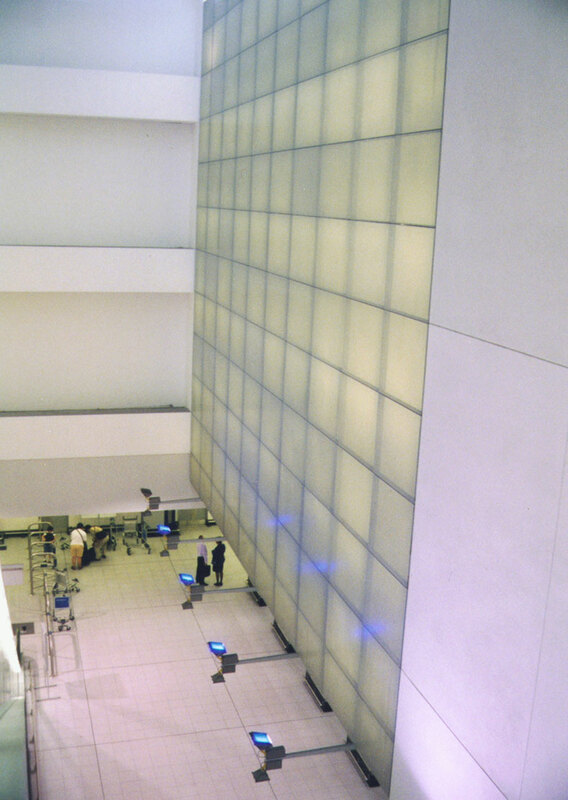 Filon DSP is also widely used in the construction of both travelling and permanent exhibitions, and by architects and designers who need to achieve special lighting effects such as light walls and ceilings.